Just six weeks before the national elections to be held on 7 May 2014, the ANC government has announced that traditional leaders (amakhosi) and their families will be given free government medical aid membership of GEMS, which is the government employee medical aid. 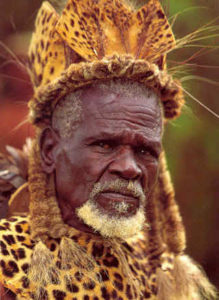 There are more than 6 000 traditional chiefs in South Africa. The Inkhata Freedom Party (IFP), the Democratic Alliance (DA) and the National Freedom Party (NFP) are furious. They say that spending taxpayer money this way is a “desperate ploy” by the ANC to garner votes in rural KZN. Most of the amakhosi are located in that province. The ANC won KZN outright in the 2009 election that brought KZN resident Jacob Zuma to the presidency. The DA traditional affairs spokesman, George Mari, described the move as an act of desperation by the ANC. “It is clear that they are doing these things to ensure that people under amakhosi vote for the ANC. That is why they are pandering to the traditional leaders. The ANC leaders are seeing that other parties are making inroads to their (the ANC’s) support base. “They are now engaging in desperate attempts to garner votes. They are increasing allowances and providing medical aids to amakhosi. Also they are giving people food parcels and promising other voters housing. It is wrong, but they are doing it,” he said. Opposition parties point out at the ANC did the same kind of thing just before the 2011 local government elections. Then it announced that the houses of KZN’s amakhosi would be renovated. That the taxpayer cost of millions of rands. But Ms Dube-Ncube, KZN Co-operative Governance and Traditional Affairs Minister, denied there were any political intentions behind the medical aid handout. “This is yet another important step we are taking in our efforts to empower our traditional leaders to play a crucial role as a functional interface between traditional communities and the government. “The medical aid benefits for amakhosi and their dependants will go a long way towards our ultimate goal of affording the institution of traditional leadership its rightful and dignified place within our communities,” she said. Traditional healers have as yet said nothing about the amakhosi being signed up for medical aid.